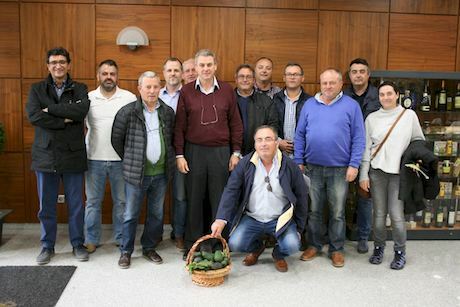 A group of agricultural producers has just set up the Association of Avocado Producers (ASOPROA) in order to strengthen and coordinate the sector at the national level in the face of the crop's expansion. During the constitution act, which took place in Valencia, at the headquarters of the Valencian Association of Agricultural Producers (AVA-ASAJA), the executive committee of the new entity said that one of its main objectives is to convey the importance of working together in an association in order to better face the challenges ahead for this promising sector. Indeed, in the midst of a generalized crisis of profitability, more and more growers are betting on avocados due to the increase in global consumption, given the promotion of its healthy properties. This is translating into decent prices at origin. In Andalusia, there are already 13,652 hectares devoted to avocado cultivation, especially in the province of Malaga, but the crop is also gaining ground in other regions, such as the Region of Valencia, with 927 hectares in 2018. This is 33% more than in the previous year and up to 561% more than just five years ago, according to the Ministry of Agriculture. ASOPROA has thus been born with the purpose of promoting collaboration between a growing number of producers, unifying both productive and commercial criteria, and even differentiating the domestic product through a distinctive brand or, where appropriate, a Designation of Origin. The president of the association, Celestino Recatalá, who produces avocados in the Camp de Morvedre, stressed that "the sector must act promptly to set the path if we want this crop to be profitable not only in the short term. The entity will provide anyone interested with up-to-date information and professional advice, and will also launch initiatives to promote their development." This pioneering association also aims to organize promotional campaigns, to monitor and denounce irregular practices in the food chain, to protect organic growers by promoting the value of their product, to study protected avocado varieties in other countries, to promote research programs that can lead to the authorization of phytosanitary products against pests and diseases, and to modernize the sector with the introduction of new patterns and adapted varieties. ASOPROA will soon hold meetings in various production areas to raise awareness of its role among producers, as well as to listen to the demands raised and become a representative for the sector before the different administrations.